The name Tēvāram refers to the first seven volumes of the canonical texts of Tamil Śaivism, Paṉṉiru Tirumuṛai, the 12-volume collection of Śaiva devotional poetry. Consisting 800 hymns to Śiva, Tēvāram dates back to the 7th and 8th century. Attributed to the authorship of three Tamil Śaivite saint-poets (Nāyaṉmār) Campantar (also known as Tiruñāṉacampantar), Appar (also called Tirunāvukkaracar) and Cuntarar—collectively known as Mūvar (the three)—Tēvāram is a living tradition in Tamil Nadu and Sri Lanka. Recited regularly in the homes of Tamil Śaivite families and Śiva temples, Tēvāram preserves the integrity of its words in verses through the musical mode known as paṇmuṛai. Tēvāram's exquisite poetry of passion and intensity is characterised by emotional Bhakti. The traditionally printed books of Tēvāram are available in two different arrangements: the paṇmuṛai arrangement, where the hymns are organised according to musical modes; and talamuṛai, where the hymns are ordered according to the sacred sites. The Mūvar walked to the Śiva temples one by one and composed individual hymns in praise of particular manifestations of Śiva often referring to the temple myths, the sacredness of the site and trees unique to the temples. Since most of the Mūvar Tēvāram are composed in praise of temples situated in the upper and lower banks of the river Cauvery, the talamuṛai arrangement and recital of Tēvāram in that order are considered to be a pilgrim's journey on the banks of the river Cauvery. During the reign of Raja Raja Chola I, in the 10th century, Tēvāram palm leaves were found to be abandoned in a locked room of Chidambaram temple. Nambiyandar Nambi collated them all along with other religious texts and Raja Raja Chola I established the institution of Ōtuvārs, a sect of Śaivite singers, specifically to recite Tēvāram in Śiva temples. The 276 temples revered in these verses are called pātal peṛṛa talaṅkaḷ, and another 256 places mentioned in the verses are called vaipu talaṅkaḷ. For the author of devotional literature, it is a shift of attention from the object to the subject as the poet is not an observer but a participant. It is a shift from passive modes of reception (śruti, smr̥ti) to active modes of proclamation (moḻi, vacana); “ from hearing to speaking, from watching to dancing (...); from a religion and a poetry of the esoteric few to a religion and a poetry of anyone who can speak (...); from the noniconic to the iconic;” from yajña to pūjā, from temporary sacrificial plots to built temples; and, eventually, “ from the absolute godhead, the non-personal Brahman of the Upaniṣads, to the gods of the mythologies, with faces, complexions, families, feelings, personalities, characters.” It is also a shift from seeing and hearing to touching. This performative aspect of emotional Bhakti is very much evident in the verses of Tēvāram. 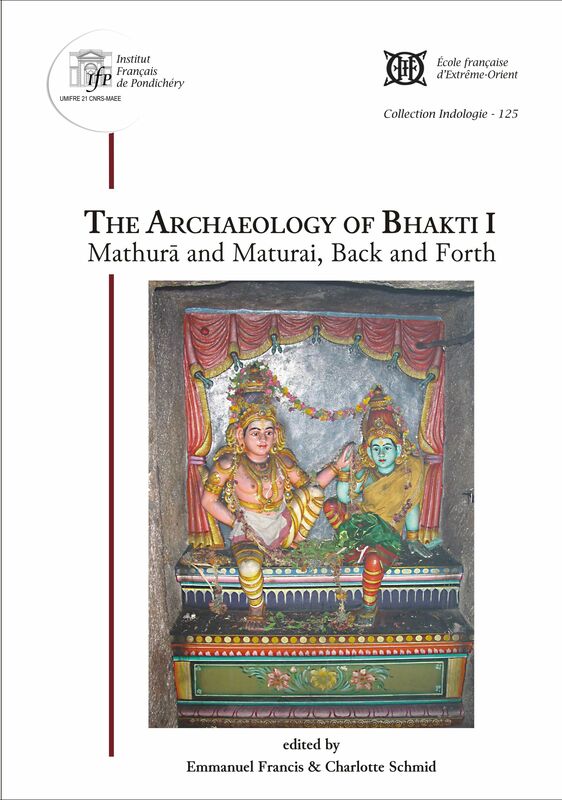 The entire collection of Paṉṉiru Tirumuṛai along with the translations in English, Telugu, Malayalam, Kannada and Hindi are available online with recorded recitals in Tamil at thevaaram.org. T.S. 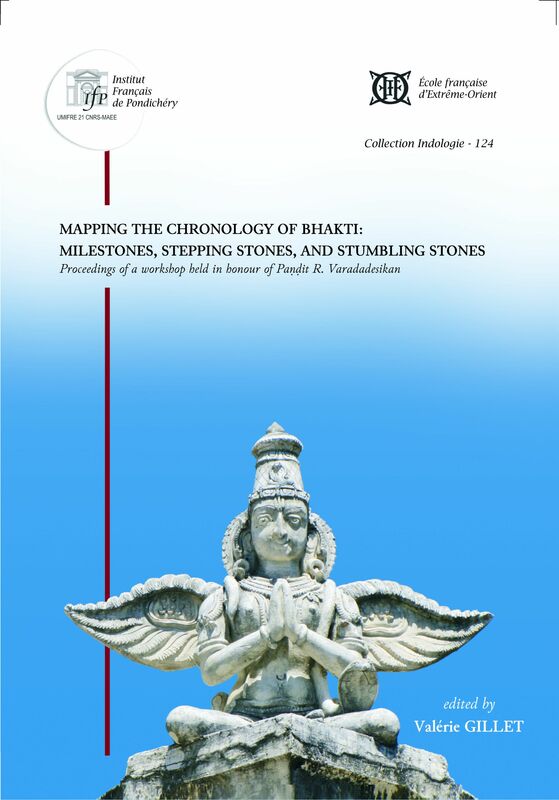 Gangadharan's unusual essay ‘Jīvakacintamaṇi's contribution to Periyapurāṇam’ (in Mapping the Chronology of Bhakti Milestones, Stepping Stones and Stumbling Stones, edited by Valérie Gillet) compares the structural similarities between Jīvakacintamaṇi (a Tamil Jain epic) and Periyapurāṇam (a compendium of life stories of Śaivite saints). Gangadharan effectively demonstrates how literary genres influence across religious denominations and periods of conflicts to create cultural values of sacredness. Alternating between recitals of Tēvāram and explanations of their use in the everyday rituals of Śiva temples, Sargurunathan, (Ōtuvār of Kapaleeswarar temple, Mylapore, Chennai), in an interview with M.D. Muthukumaraswamy, discusses the institution of Ōtuvār (singers trained and employed to recite devotional hymns during everyday rituals and festivities) in Śiva temples today and the changing patterns of their training and patronage. While elucidating the musicality of Tēvāram singing, Sargurunathan points out the certain flexibility in the tradition that allows for adopting Carnatic ragas and bringing in other compositions of religious significance. Together the Sargurunathan interview and the three essays mentioned above, constitute the module ‘Tēvāram: Tamil Śaivite Devotional Hymns’. This module is part of a collaboration between Sahapedia and the French Institute of Pondicherry.